...Country club. Along the jeepny line. 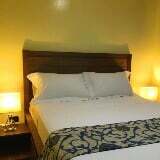 10 minutes drive to Burnham park, Baguio Public market or Session Road. Please pm, call, viber or text me. ...Road, Camp John Hay, SM Mall. 20 Mins. Baguio Country Club, St. Joseph Pacdal. 20 Mins. Magsaysay Road. 30 Mins. SM Mall Baguio. 20 Mins. High End House and Lot For Rent! 6 Bedroom House and Lot For REnt!